Jubilee Arts is a program of Intersection of Change (formerly Newborn Holistic Ministries), a community based nonprofit in Baltimore, MD founded in 1996 to serve Baltimore’s Sandtown-Winchester and Upton communities. In 2008, Intersection of Change created Jubilee Arts to provide residents of the surrounding neighborhoods with a comprehensive arts program as an alternative to the dangers of drugs and violence in the community and a space that fosters community empowerment and leadership development. The program also serves to revive a once strong arts legacy on Jubilee Arts' location (on Pennsylvania Avenue) which was once the center of African-American arts and entertainment in Baltimore City. 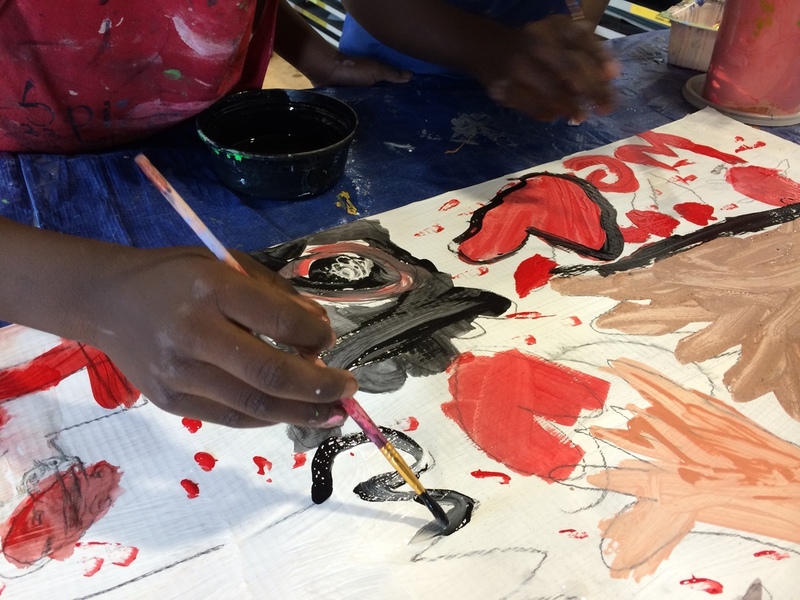 Jubilee Arts provides art classes (in ceramics, visual arts, dance, and more) six days a week as well as cultural activities to both children and adults throughout the year. Jubilee Arts serves approximately 1,500 people annually. The first was teaching and assisting in youth art classes for youth in the age groups 7-11 and 12-17. She acted as lead teacher for Faces (a course on basic portraiture), Graphic Design (using Adobe Photoshop as the primary artistic medium), Food + Farm (a social-justice, community oriented course that produced artwork for a local urban farm and taught students about health eating), and Painting (an entry level painting course using primarily acrylic and exterior mural paints). Emily wrote all of the curriculum and lesson plans for classes she taught. Additionally she assisted in ceramics, fashion design, basic sewing, and street art classes. Her second role was to engage the community. This involved coordinating Jubilee Arts’ weekly guest speaker series for older youth, Arts in Action. Every week Jubilee Arts hosted a local Baltimorean artist to speak about their unique work as well as about the experience of having a career in the arts. 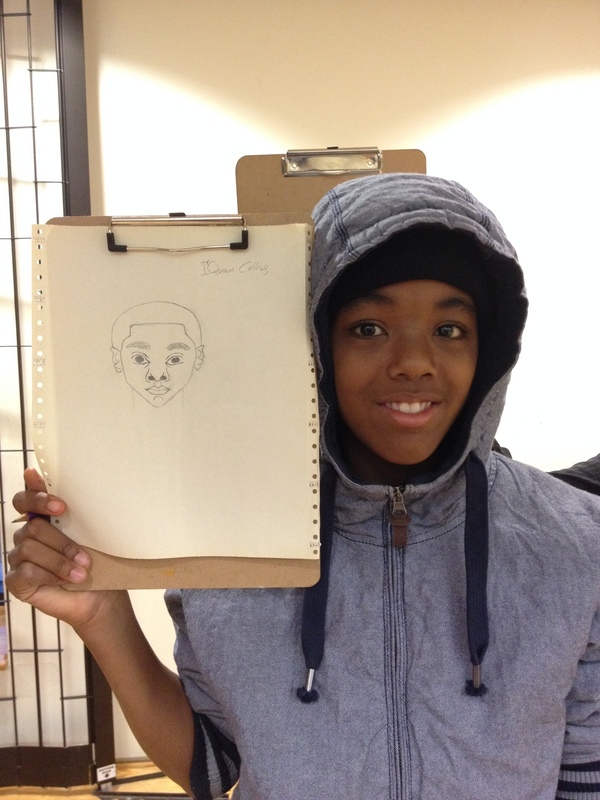 Arts in Action existed to mentor and inspire the youth at Jubilee Arts. Beyond Arts in Action, Emily also supported outreach in local West Baltimore schools to recruit students for Jubilee Arts classes. As a part of this work she met with faculty and staff at the schools. She had previously hosted art tables at school events and completed a community arts mural installed at Gilmor Elementary School. Her final role was to curate Jubilee Arts’ window display and community art gallery. Alongside her supervisor, Emily was responsible for maintaining the organization and general aesthetic appeal of the Jubilee Arts’ community gallery spaces. Hear Emily and her supervisor, Nora, speak about working at Jubilee Arts on WYPR's The Signal in their profile on AmeriCorps at 20 years here. Listen to them at 8:45 minutes into the radio segment.